Today market closed in a record level with mighty gain, Nifty closed at 8322.20 value move up to 153 point with 1.87 percentage and Sensex closed at 27865.83 move up to 519.50 point. In 50 shares index, About 45 shares have advanced, 5 shares have declined and zero shares have unchanged. Today market all time in a strong mode and after opened market nifty hits 8200 after 8250 and finally we find a big record in history, nifty cross the 8300 value. IDFC gain up to 5.40, Tata Power gain 4.25, GAIL, BPCL, L&T, HDFC gain up to 3 to 3.50 percent. Top gainers is IDFC, Tata Power, GAIL, BPCL, L&T, HDFC. Top losers is Bharti Atirtel, ITC, ACC, Zee Entertainment, DLF. Today market is a big strong mode, nifty hits 8300 with new record in November series. Nifty move up to 153.45 point at 8322.65 and sensex move up to 517.24 point at 27863.57. In 50 shares index about 48 shares have advanced, 2 shares have declined and zero shares have unchanged. Gail, HDFC, L&T, Tata Steel and Maruti are top gainers and Bharti Airtel, ITC and BHEl were among the laggards. In this service we provide 1-2 intraday stock Futures calls in NSE with a high level of accuracy. You can also avail Free Stock Futures Tips for two days to test our accuracy and if satisfied you can join stock Futures services with Capital Stars. CS Positional Update: Tata Motors Futures Our 1st Target 1020 Achieved Book Partial Profit. Today nifty sensex in a strong mode, after 8250 hits nifty moving on 8300 value. Nifty climb 100 point with strong mode, Our technical researcher saying nifty cross the 8300 value in mid noon session. Nifty move up to 104.20 point at 8273.40 value and Sensex move up to 347.48 point at 27693.81 value. In 50 shares index, About 46 shares have advanced, 4 shares have declined and zero shares have unchanged. Top gainers is IDFC, Tata Steel, Maruti Suzuki, HDFC, Tata Power, SBI. Top losers is Bharti Airtel, Zee Entertainment, ICICI Bank. Today in starting November series nifty hits 8200 after some hours nifty climb 80 point move at 8250 hits and sensex gain 250 point with new high record. Nifty move up to 88.85 point at 8258.05 and Sensex move up to 302.11 point at 27648.44 value. In 50 shares index, about 45 shares have advanced, 5 shares have declined and zero shares have unchanged. The broader markets too gained momentum with the BSE Midcap and Smallcap indices adding 1 percent each. About three shares advanced for every share declining on the Bombay Stock Exchange. IDFC move up to 3 percent and Maruti Suzuki, Hero Motocorp, HDFC, HCL Technologies move up to 2 percent in top gainers list. Top gainers is IDFC, Maruti Suzuki, Hero Motocorp, HDFC, HCL Technologies, Tata Steel, Infosys. Today, in starting November series nifty sensex in a strong mode, nifty opened climb 32 point and hits 8200 for the first time. Currently Nifty move up to 61.15 point at 8230.35 and Sensex move up to 202.82 point at 27549.15 value. In 50 shares index about 42 shares have advanced, 8 shares have declined and zero shares have unchanged. Asian stocks rose on the final trading day of the week following positive US data overnight, with focus on developments in Japan. IDFC move up to 3.8 percent in top gainers and HCL Teck move up to 2.1 percent. Top gainers is IDFC, HCL Technologies, Ultra Tech Cement, Tech Mahindra, Infosys, SBI. Top losers is DLF, Bharti Airtel, Zee Entertainment, Jindal Steel, Hindalco, Bajaj Auto. We are providing tips like as nifty tips, bank nifty tips, bank nifty futures tips, nifty futures tips, stock & share market tips with high accuracy. In this service we provide 3-4 intraday stock Futures calls in NSE with a high level of accuracy. You can also avail Free Stock Futures Tips for two days to test our accuracy and if satisfied you can join stock Futures services with Capital Stars. Daily 3 to 4 intraday futures calls. CS Update: ACC Futures our 1st target 980 Achieved Book Partial Profit. Today market closed in strong mode, nifty sensex closed in high mode where nifty hits 8180 and Sensex 27390.60 value. Nifty closed at 8169.20 value gain up to 78.75 point with 0.97 percentage and Sensex closed at 27346.33 value gain up to 248.16 point with 0.92 percentage. In 50 shares index about 35 shares have advanced, 15 shares have declined and zero shares have unchanged. Reliance gain to 3 percent while HCL Tech, DLF, Tech Mahindra is top gainers. Nifty Put Call ratio is at 1.25 versus 1, highest in this series. Total market turnover above is Rs 10 lakh crore for first time ever. All IT stocks on Nifty trading in the green in range of 1-4 percent. NSE F&O turnover above Rs 5 lakh crore. ICICI Bank, Axis Bank are biggest contributors to Bank Nifty gain. Top gainers is HCL Tech, DLF, Tech Mahindra, Indusland Bank, Reliance. Top losers is CAIRN, Ambuja Cement, SSLT, M&M, Cipla, BPCL, Lupin. Today market in a strong mode, before market closing nifty climb to 90 point and hit a high record in last session of market, nifty hits 8180 value in last session of F&O expiry day (October). Nifty move up to 76.25 point at 8166.70 and Sensex move up to 230.45 point at 27328.62 value. In 50 shares index about 36 shares have advanced, 14 shares have declined and zero shares have unchanged. DLF, HCL Tech move up to 4 percent and Tech Mahindra gain 3.46 percent. Top gainers is DLF, HCL Technologies, Tech Mahindra, IDFC, Reliance, Zee Entertainment. Top losers is CIPLA, CAIRN, Ambuja Cement, SSLT, Lupin, M&M, Sun Pharma. CS HNI CASH CALL: BUY ARVIND LTD. ABOVE 290 TG 298 SL 286. CS HNI STOCK UPDATE: ARVIND LTD. BUY CALL TRADING NEAR 1ST TG 298 BOOK FULL PROFIT. After hits the market nifty hover around 8150 and sensex gain 200 points in mid session, Nifty move up to 62.80 point at 8153.25 and Sensex move up to 211.31point at 27309.48 value. In 50 shares index about 36 shares have advanced, 14 shares have declined and zero shares have unchanged. DLF, HCL TECH, Tech Mahindra gain up to 4 percent in the top of gainers list and Reliance move up to 2 percent. As it fights a Sebi ban on accessing capital markets, realty giant DLF was asked today to provide details of funds it immediately needs to get an interim relief to redeem capital locked in mutual funds . Top gainers is DLF, HCL Technologies, Tech Mahindra, Reliance, Infosys, TCS. Top losers is CAIRN, M&M, SSLT, ICICI Bank, SBI, Asian Paint, BPCL, BHEL. Today in morning session nifty hits 8100 and now mid noon session nifty hits 8150 value. Today nifty in a strong mode in expiry days. Nifty move up to 62.96 point at 8153.10 and Sensex move up to 208.68 point at 27306.85 value. In 50 shares index about 33 shares have advanced, 17 shares have declined and zero shares have unchanged. HCL Tech and Tech Mahindra are gaining 4 percent in top gainers list and DLF, TCS at 3 percent. Top gainers is Tech Mahindra, HCL Technologies, Infosys, DLF, TCS, NMDC. Top losers is CAIRN, M&M, Tata Power, BHEL, Lupin, SSLT, Bajaj Auto. Nifty futures ended with gains on Tuesday ahead of two days US Federal Reserve Open Market Committee meet. Nifty futures closed at 8040 with a high of 8051. Nifty for next trading session would have the resistance of 8065 if it breaks this level than having the next resistance of 8110 and in down side having the support of 7990 if it breaks this level than having the next support of 7940. In this service we provide 1-2 intraday Nifty/Bank Nifty Futures calls with a high level of accuracy. You can also avail Free Nifty/Bank Nifty futures Tips for two days to test our accuracy and if satisfied you can join this service with Capital Stars. Today market opened in strong mode and nifty hits 8100, in expiry days nifty moving on big strong mode today. Nifty move up to 26.00 point at 8116.45 value and Sensex move up to 81.12 point at 27179.29 value. In 50 shares index About 30 shares have advanced, 20 shares have declined and zero shares have unchanged. DLF move to top gaining list with 4 percent. The Indian rupee slipped in early trade. It has opened lower by 16 paise at 61.51 per dollar against previous day close of 61.35. Top gainers is DLF, Tech Mahindra, Infosys, Dr. Reddy's, HCL Technologies, TCS. Top losers is CAIRN, M&M, Hindalco, Tata Power, Bharti Airtel, BHEL. Today market opened in strong mode in expiry days. Nifty opened at 8085.20 value and Sensex opened at 27156.25 value. Currently nifty move up to 18.20 point at 8108.65 and sensex move up to 56.11 point at 27154.28 value. About 23 shares have advanced, 26 shares have declined and 1 shares have unchanged. Tech Mahindra and DLF gain 3 to 4 percent in top gainers list. Top gainers is Tech Mahindra, DLF, HCL Technologies, Dr. Reedy's, Infosys. Top losers is M&M, Hindalco, Jindal Steel, ITC, Tata Power, BPCL, SBI. Nifty closed at above 8000 value and move up to 35 point, supported by banking and financial health care and capital goods stocks. Today market volatile in the October series expiry days, the market moving on strong mode in expiry time. Gautam Shah of JM Financial said Indian equities have been resilient as there has not been even a 10 percent correction in the last 14 months. It was a strong day for global markets too. Asian markets like Hang Seng, Shanghai and Taiwan Weighted gained 1.6-2 percent while Germany’s DAX rose over a percent. Goldman Sachs raised its target on S&P 500 to 2050 by December and 2150 by the end of 2015. Today Sun Pharma top gainers in the list and move up to 4 percent, Cipla move up to 3 percent and SBI, BPCL and Tata Power move up to 2.50 percentage. Today Nifty top gainers is Sun Pharma, Cipla, BPCL, Tata Power, SBI. Sun Pharma- Sun Pharma opened at 805.25 and closed at 838.65 move up to 36.70 point with 4.56 percentage. Sun Pharma total turnover is 28,788.24 lacs. Cipla- Cipla opened at 630.00 and closed at 646.15 move up to 19.90 point with 3.17 percentage. Cipla total turnover is 11,888.36 lacs. BPCL- BPCL opened at 689.00 and closed at 701.85 move up to 17.75 point with 2.59 percentage. BPCL total turnover is 11,752.59 lacs. Tata Power- Tata Power opened at 88.30 and closed at 90.55 move up to 2.30 point with 2.60 percentage. Tata Power total turnover is 3,964.24 lacs. SBI- SBI opened at 2608.00 and closed at 2656.75 move up to 63.20 point with 2.43 percentage. SBI total turnover is 11,752.59 lacs. Finally nifty closed in positive movement, today nifty gain slowly and sensex rise 128 point. Nifty closed at 8027.60 move up to 35.90 point with 0.45 percentage and Sensex closed at 26880.82 move up to 127.92 with 0.48 percentage. About 30 shares have advanced, 19 shares have declined and 1 shares have unchanged. Sunpharma, SBI, Cipla, Tata Power gain 1 to 2 percentage. Top gainers is Sun Pharma, SBI, Cipla, Tata Power, BPCL, SBI, Tech Mahindra. Top losers is Lupin, Bharti Airtel, Hero Motocorp, PNB, Jindal Steel, Bajaj Auto, Dr. Reddys. In last session of trade nifty climb to 35 point, today market gain slowly and supported by banking & financials, healthcare and Tata group stocks. Nifty move up to 34.10 point at 8025.80 value and sensex move up to 114.26 point at 26867.16 value. About 32 shares have advanced, 18 shares ahve declined and zero shares have unchanged. Sun Pharma and Cipla move 1 to 2 percent. Top gainers is Sun Pharma, Cipla, BPCL, SBIN, GAIL, Tata Power, Ultra Tech Cement. Top losers is Lupin, Hero Motocorp, Jindal Steel, Bharti Airtel, PNB, Reliance. In Tuesday, again Nifty Sensex sluggish, after some hour of market opened nifty consolidate. Now nifty move up to 17.00 point at 8008.70 and Sensex move up to 56.55 point at 26809.45 value. About 28 shares have advanced, 22 shares have declined and zero shares have unchanged. Top gainers is Sun Pharma, BPCL, GAIL, Ultratech Cement, Cipla, Zee Entertainment, ICICI Bank. Top losers is Bharti Airtel, Hero Motocorp, Bajaj Auto, Jindal Steel, BHEL, Lupin. In Tuesday after positive movement nifty hover around at 8015 value. Nifty move up to 18.30 point at 8010.00 value and Sensex move up to 69.25 point at 26822.15 value. About 28 shares have advanced, 22 shares have declined and zero shares have unchanged. Zee Entertainment and Sun Pharma gain 1 percent, wipro cover and gain point value. Top gainers is Zee Entertainment, Sun Pharma, CIPLA, ICICI Bank, SBI, Tech Mahindra, Wipro. Top losers is Bharti Airtel, BHEL, Jindal Steel, Lupin, ONGC, Hero Motocorp. In Tuesday, Nifty opened at nearly 8000, Nifty opened at 8002.40 value and sensex opened at 26788.73 value. Currently nifty move up to 17.05 point at 8008.75 and sensex move up to 67.34 point at 26820.24 value. About 26 shares have advanced, 23 shares have declined and 1 shares have unchanged. The Indian rupee opened flat at 61.33 per dollar versus 61.31 Monday. Top gainers is ICICI Bank, GAIL, Sun Pharma, Zee Entertainment, SBI. Top losers is Jindal Steel, Bharti Airtel, Lupin, BHEL, Hero Motocorp. In Monday first session, after diwlai holiday nifty moving on 8050. Nifty opened at 8064.35 and Sensex opened at 26959.57. Currently nifty move up to 10.20 point at 8024.75 value and Sensex move up to 34.37 point at 26885.42 value. About 19 shares have advanced, 31 shares have declined and zero shares have unchanged. The Indian rupee opened higher by 11 paise at 61.17 per dollar versus 61.28 Wednesday. Top gainers is BHEL, Induslnd Bank,GAIL, HDFC, Kotak Bank, Dr. Reddy's LAbs. Top losers is DLF, Jindal Steel, CAIRN, Tata Motors, Zee Entertainment, Hindalco, HCL Technologies. Bank Nifty Future ended with gains for second consecutive week. Declining September inflation numbers impressive corporate earnings boost the positive sentiment in banking sector. Last week bank nifty closed at 15,990 with a high of 16,032 with percentage change of 3.20%. For this week bank nifty is having the resistance of 16370 and above this level next resistance of 16500 and in down side having the support of 15500 and next support of 15180. Nifty Future decline’s for fourth consecutive week. Weak global cues continue to cast a shadow on Indian markets as the losing streak extended for the fourth straight week. Ebola fears, crash in Greece market, slow economic growth outlook globally and uncertainty about Federal Reserve saw global market going into a tailspin. Nifty future closed at 7,817 with a low of 7,752 with percentage change of -0.87%. Open interest addition was seen in 8200/8000 calls and 7800/7600 puts. Maximum OI concentration is placed at 8000 call indicating resistance for nifty and maximum OI is placed at 7800 put indicating support for market. For this week Nifty future is having the major resistance of 7880 and above this level having the next resistance of 7960 and in down side first support of 7750 and below this level next support of 7660. Nifty top gainers is Jindal Steel, Kotak Bank, Cipla, Hero Motocorp, Tata Motors. Jindal Steel- In Wednesday Jindal steel opened at 148.50 and closed at 160.15 move up to 17.05 with 11.72 percentage. Jindal turnover is 22,199.86 lacs turnover. Kotak Bank- Kotak Bank opened at 1021.30 and closed at 1063.00 move up to 52.60 point with 5.19 percentage. Kotak Bank turnover is 32,920.02 lacs turnover. Cipla- Cipla opened at 612.00 and closed at 609.75 move up to 24.30 point with 3.99 percentage. Cipla turnover is 13,368.79 lacs turnover. Hero Motocorp- Hero Motocorp opened at 3026.00 and closed at 3115.50 move up to 114.15 point with 3.81 percentage. hero Motocorp turnover is 12,242.20 lacs turnover. Tata Motors- Tata Motors opened at 508.65 and closed at 519.15 move up to 17.20 point with 3.43 percentage. Tata Motors turnover is 29,794.42 lacs turnover. Nifty Sense closed in a strong mode, Nifty closed nearly 8000. Nifty move up to 68.15 point at 7995.90 and Sensex move up to 211.58 point at 26787.23 value. About 39 shares have advanced, 11 shares have declined and zero shares have unchanged. After a 1 week Nifty show nearly at 8000 level. Jindal Steel move up to 11 percent today. Top gainers is Jindal Steel, Kotak Bank, Cipla, Hero Motocorp, Bajaj Auto, Tata Motors. Top losers is ONGC, DLF, NMDC, DLF, ICICI Bank, Coal India, Bharti Airtel, SBI. We are giving a offer special offer as "Buy 1 & Get 2 Free" all quarterly, half yearly, yearly services and "25 % discount in HNI services" to our customer in diwali festival, so hurry up and join us for better opportunity. 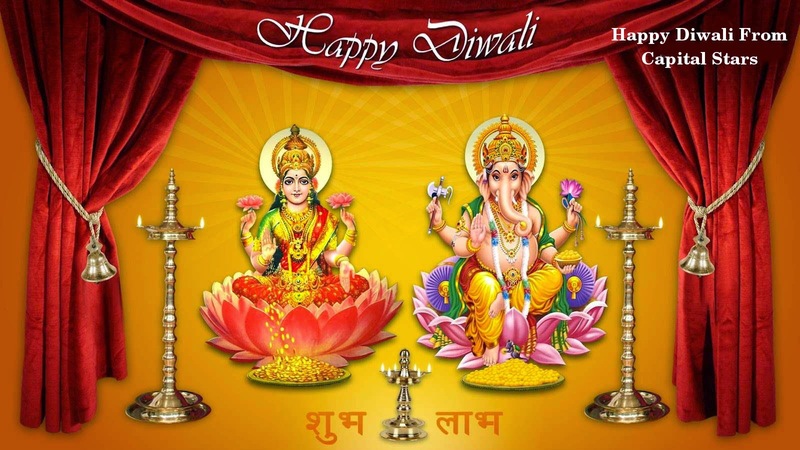 Our Capital Stars Group wishing Happy Diwali to all investor in Diwali Festival, We pray to Maa Laxmi, you and your family always happy, your life and investment always growing good and earn more and more profit all time. It's the fourth consecutive session in the green for the market as the Nifty is around 8000 ahead of Diwali. In mid noon session nifty sensex gain and celebrate Diwali Nifty move up to 51.50 point at 7979.25 and Sensex move up to 154.30 point at 26729.95. About 36 shares have advanced, 13 shares have declined and 1 shares have unchanged. Kotak Bank and Hero Motocorp in a top gainers list. Kotak Bank jumped up to 15% and SBI, ITC laggards. Top gainers is Kotak Bank, Hero Motocorp, Bajaj Auto, Tata Motors, Dr. Reddy's Labs, Wipro. Top losers is DLF, ONGC, Hindalco, ICICI Bank, NMDC, Coal India, PNB. 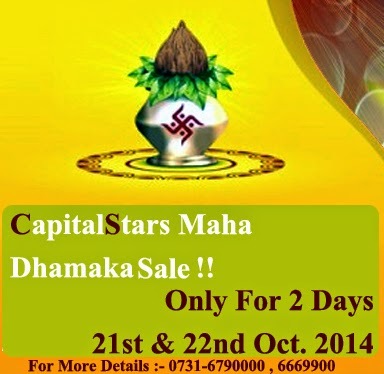 We are presenting special offer as "Buy 1 & Get 2 Free" all quarterly, half yearly, yearly services and "25 % discount in HNI services" in diwali festival to investor So hurry up and join us. First time ever company is giving mega offer in HNI services to the investor for make and better diwali as “Flat 25 Percent discount in HNI Services” in Diwali festival. Investor get a more profit by this services so hurry up and join with this services offer only for today so hurry up !! !